I love me some kindness so much I wrote a Kindness Manifesto. The stories of kindness in the big city warms my heart. Have you heard about this initiative yet? Oh my goodness, it makes my mama/teacher heart go all pitter patter. Finally, someone is addressing what school teachers have known for years. Turns out the achievement gap starts before kids even enter school with what researchers are now calling the word gap. Basically middle class kids hear a gazillion more words than their less affluent counter parts and that word gap has significant meaning over the course of a life time. We can help close the gap. All of us. Thanks to GoMighty and specifically Blog con Queso’s post The Next Generation of My Goals for the heads up about this work! Offended or annoyed by people? Yes and Yes offers What To Do When Someone Says Something Offensive – just in time for the holidays! Alexis did a 30-Day Self-Care Adventure. Here she shares her “Best Of”. You may recognize a contributor or two! Pumpkin-Pistachio Kale Fried Rice Bowl with Maple Tofu Cubes. That is a whole lot of hippie goodness, friends. I sauteed the kale and added it at the end (the kale was left out of the directions in the recipe) and I used lots more maple syrup than the recipe called for because well, yum. FYI: even more delicious as leftovers. 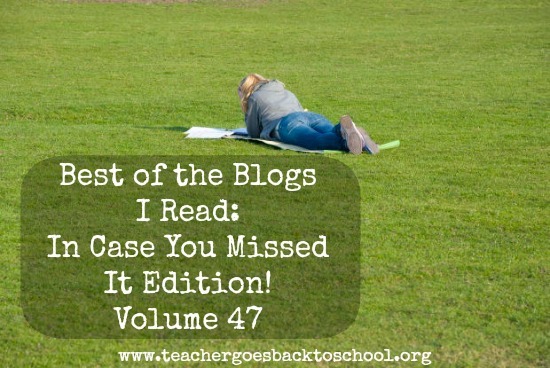 This entry was posted in Best of the Blogs I Read and tagged Achievement Gap, Alexis Marbach, Go Mighty, I Spy Kindness, kindness, Lunch Box Bunch, Self-Care, Self-care Adventure, Too Small To Fail, Word Gap, Yes and Yes, Zen Habits by Teacher Goes Back to School. Bookmark the permalink.